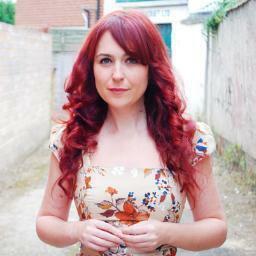 I’m Joanna Shock, a freelance editor based in London. I specialise in secondary school materials (with a focus on maths) and health & fitness materials, but I take on other areas of editing too – any sort of non-fiction copy really. How long have you been freelancing, and why did you start? I left a 9 to 5 job in November last year so I’ve only been freelancing for a few months. I wanted a life where I could build my days in my own way, and not be structured around someone else’s requirements (except my clients’ requirements of course). I was also keen to leave behind some of the corporate politics and associated nonsense, though it was definitely a pull to freelancing rather than a push from anything else. Let’s talk about the start of your day – early bird or night owl? In an ideal world I would be a night owl, but my day actually starts at 7.45. I start at 8 with a few bits and pieces of admin or catching up with a blogs or industry goings-on. Most of the time. I do use some co-working venues and really like working in cafes now and again for a change of scene. What’s your working routine before you start work? Just grabbing breakfast. My whole morning is a mixture of work and other things so I pretty much get started straight away. Do you take a lunch break? No. I tried to when I first started freelancing but as I’ve never done it before, it didn’t quite feel right. I tend to take a long break late morning to work out so at lunchtime I’m just starting to settle in to some proper work. How do you tend to spend your afternoons? Generally sitting (or standing) at my desk, focused on my current project. I may be in a cafe if the work is conducive to that sort of atmosphere. How do you stay motivated? Do you have any particular techniques? I find approaching deadlines particularly motivating! But I also break everything down into small chunks and just focus on getting through those little by little. I also just remind myself that it’s a job and it’s not always going to be fun so I just have to get on with it. I love having flexibility in freelancing so I remember all the good things that come with it when faced with a lack of motivation. What time do you tend to sign off for the day? Either at 6 when my boyfriend gets home, or at 7 if I have a lot to get done that particular day. Tell us – what’s your favourite thing about freelancing? And your least favourite thing about freelancing? The uncertainty of what might be coming up in the future. I’d always like just a little bit more information than I have. What tools/apps/gadgets/things could you not live without as a freelancer? It’s very simple, but I find Evernote really useful. I have a lot of to do lists, project-related lists, ideas, thoughts and general notes to make and Evernote works really well for keeping everything in order. I like coffitivity.com when I need a little background noise but don’t want music. The Big Question – What’s the secret to your success? I don’t think I’m there yet, but I’m certainly still enjoying being freelance because I’ve met some wonderful people (both on and offline) who are carving their own path too. Even if they aren’t in the same field, it’s amazing to see who’s out there and everyone always seems happy to help. Morning everyone! Time for another peek into the daily life of a freelancer. 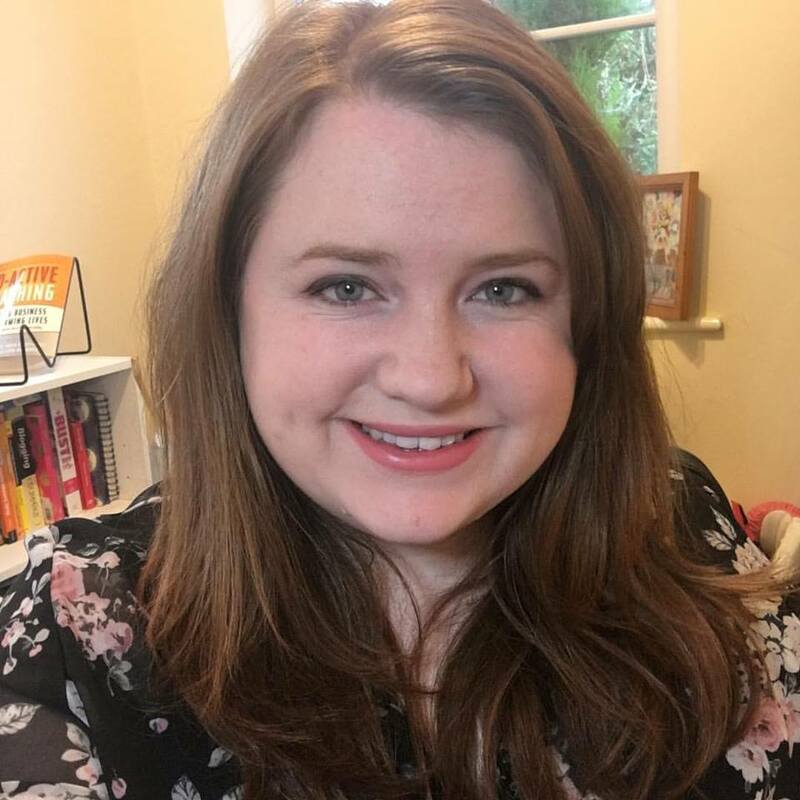 This week, it’s my freelance friend Elizabeth Sellers, who is the brains behind the blog Rosalillium, and the blogging conference Blognix (which I’ll be speaking at in just over a week). I’m Elizabeth. I’m a freelance blogger, writer, social media botherer and event organiser. I am rather nomadic, moving house every 6 to 10 months or so. Currently based in the Midlands. I’ve been freelancing for a few years now. Initially it was a necessity as I had a back injury and was unable to take up employment so I needed to find ways to make the monies from home. And then it turned out that I love the online life! Let’s talk about the start of your day – Are you an early riser, or a night owl? I like a solid eight hours sleep so I probably wake up naturally around 8am. I am pretty slow to get started in the morning. I need a good dose of caffeine and a scroll through my Twitter stream before I really get productive. It varies but mostly around 9.30 to 10am. Yes and various coffee shops around town. I have just managed to secure a cheap office with the boyf, who is also a work-from-home consultant, and so looking forward to separating my tiny living space from work. Check Twitter, Facebook and Instagram. Get out of bed. Yes, I check social media before I do anything. Don’t judge me! Light a candle on my desk. Eat a bowl of bran flakes with a cup of tea or coffee whilst going through emails. Tidy up my desk and work space. Scribble down a to-do list in my notebook. Then tackle as many tasks as possible before lunch. Yes, I have to. I get terribly grouchy if I don’t eat. I normally watch some youtube or read blogs whilst I eat. It’s a productive lunch break. More of the same. Blogging, emailing, creating, photographing, editing, planning etc etc etc. Sheer terror of failing tends to keep me going. I don’t believe in the word ‘bored’ – there is always something to do! But if I’m in a rut, I’ll switch off by changing my environment or activity. For example, I enjoy working from coffee shops so will often grab my laptop and leave my desk. And to switch off completely I will either cook, read a book or watching some Buffy on Netflix. This really depends on what time I got started. If I decided to do yoga or run some errands in the morning then I will make up the time in the evening. I tend to do between 6 and 12 hours a day. Freedom. I like being in charge of my time, productivity and tasks. Gmail and all of the Google Apps – Calendar, Hangouts and Drive are rad. And my iphone is a saviour. Ha! I’m not sure I’m a success yet. But I believe working hard, not giving up and continually learning is the key to success. Want to share what you get up to on a daily basis as a freelancer? Simply fill in our form! Love having a nosy at other people’s working days? This week, ReeRee Rockette gives us a sneak peek at her freelance life. 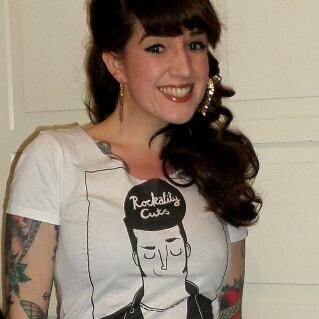 ReeRee Rockette, I’m a blogger/writer and I own a hair salon in East London. Although not technically a freelancer, I feel a lot of my actual work (I’m not a hairdresser) is very similar to what a freelancer may do. I work from home a lot, and juggle my online plates the best I can. I’m an early-ish riser, but not an early worker. I like to take ages to ‘wake’ and am a night owl when it comes to productivity. I always joke that I wrote my dissertation at 2am night after night. If I’m working from the salon, we open at 11am (my choosing!) but I start some form of work as soon as I wake. Like many, the first thing I do is check my emails and social media. This is crucial as people book and change appointments using these methods, so I need to know straight away. Social media is one of the main ways that clients find us, so my use of it is an important part of my role. Yes, currently I spend 4 days at home a week. I don’t block any out of ‘days off’, I just work through out the day as and when is needed. I love my work, and I love my life, so I would never complain! I get to be really flexible on these 4 days, so some days feel pretty full whereas others do not. It’s perfect for the type of personality I have. I wake, check emails and social media, and boil the kettle. While my coffee is cooling down I get dressed and do my hair and make up. I play some sort of background tv as company as I live alone. I drink my coffee and then take pictures of my outfit (I’m a style blogger!). Not really. I don’t need to. It really depends. I don’t have schedules as such. I devour business books. They keep me in the right frame of mind, but I think I’m a pretty motivated person anyhow. I also like to reflect on my goals and refocus myself if I’ve swayed off track. Again, I don’t really. My work is spread thin but constantly, rather than fixed into blocks. I love the freedom of my lifestyle, and the complete control I have over my own success. I get to hire people who are awesome and adore my work.I got to create a career around what I love as well as what I’m best at. The responsibility and the money (bills, taxes, employment etc). The internet. I adore my Galaxy S4 for being able to connect where ever I am. I’ve used Hootsuite as my twitter app for years and wouldn’t be without it. I’m also addicted to tabs in my browser. Immersing yourself in your quest – and loving it. Hello, my name is Karen Cann. I’m a freelance video editor and DVD author. I work from home in Cambridgeshire. Since August 2010. I was made redundant as the company I was working for folded in the recession. Part time video editing jobs are hard to come by in Cambridgeshire plus there were a couple of jobs I was in the middle of, and I also needed to be flexible around my little toddler. There were a crazy few days of buying kit, speaking to clients and setting up with little sleep! I do my best work in the morning, I’m more fresh, focused and motivated then. This is great for when my children are at school or with their grandparents, but when I have to work evenings and weekends it isn’t so great as my brain starts slowing down at 5pm – ha ha! Yes, in the corner of my bedroom I have a little office. Sorting the kids out for school, school run then back to make a huge mug of sugary tea while my Mac warms up. Not really, I usually eat lunch at my Mac. If I’m not busy, sometimes I’ll do a few chores at lunchtime and listen to Jeremy Vine whilst simultaneously stuffing a sandwich in my mouth. More work until 2.45pm then school run and general Mummy duties! Write a long list at the beginning of the day of what I’d like to achieve with allocated times. I probably only stick to my list about 50% of the time! At the school run, unless I’m busy and then I’ll work during the evening. Sometimes I’ll go to networking events in the evening or #Cambshour on Twitter. I generally never switch off though, I’m always checking my email, thinking about what I have to do, worrying etc..
Not having a guaranteed pay cheque each month. You can check my showreel on YouTube. It’s been VERY tough over the last few years, not easy at all, and I have been on the verge of giving up several times. However, one thing I have loved is meeting new people and businesses, and finding out about a lot of exciting creative things that are happening both in my local area and worldwide. It’s also been a steep learning curve when you’re out on your own, you learn a lot very quickly about all aspects of business. I don’t think you gain the same sort of experience when you are an employee of a company and have a set job to do. Thanks Karen! Want to take part in the A Day In The Life Of A Freelancer series? You can find the form to fill in here! 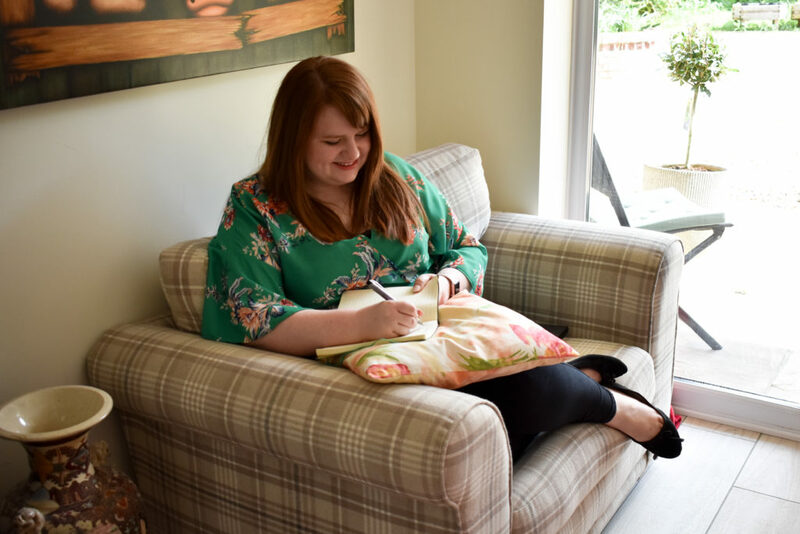 My name is Emma-Louise Trotter and by day I am a Freelance Creative Consultant, Community Manager and Blogger Outreach Specialist, by night I am a blogger and working towards becoming a published author. I am located in the stunning spa town of Harrogate. My freelance life started 6 months ago, when I became disillusioned by the huge agency I was working for. Working crazy hours, making them chunks of money and me on a paltry wage with huge creative limitations. I wanted to do more for clients, help them really understand social and brand presence. I am both! Depending on the mood I am in, also depending on what work I have on. There are times when my creativity strikes at 11pm and if that is the case then I embrace it wholly and have been known to stay up til the wee hours. However, as I manage social channels for my client I am up and about for the usual ‘office hours’ as well, however some times those hours I am in my pj’s in my home office! 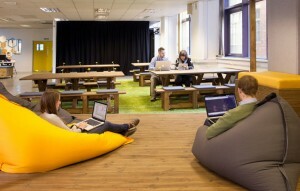 I am lucky enough to work both from my home office and from a co-working space in Leeds called Duke Studios. The mix of two environments is incredible for productivity and inspiration. My best blogs and novel writing happens at home, however the co-working space I frequent is filled to the brim with other freelance creatives, from photography, design and social to writers and artists, it makes for a really vibrant atmosphere, perfect for pitch writing! Up, emails read in bed usually. Then off for a walk with the dogs, fresh air is so good for the brain, clears the cobwebs. Then home for a green juice, then either the gym or swim. I try to be active in the morning, I find it sets me up for the day. Afternoons are spent uploading content, scheduling social posts, pulling together reports for clients. I also like to arrange calls with clients, both current and perspective, always seems to catch people in a better more creative mood in the afternoon! 1. Rewards – they come in the form of magazines usually. I don’t allow myself to indulge in magazine reading until my To Do List is completed. I am incredibly strict with this! 2. I get all the ‘rubbish’ jobs on the list done first, the most complicated, least enjoyable ones, that way they are done and dusted and then I can move onto the fun ones. This works really well as I am a sod for putting things off until the next day! As far as clients go I am done and dusted by 6pm however in reality it’s more like 10pm! Has to be the creative freedom I have in terms of the clients I work for. In agency life you are doled out clients, in freelancing I can be much more selective and work with people with similar out look and views as me which makes for a much more harmonious creative relationship. Always being ‘On’ – as a freelancer there is no real down time, you always have to be on the hunt for work, on top of accounts, you wear so many hats it can be a little draining. Feedly, this app has changed my blog reading life, I have to keep on top of so much for clients in terms of stats etc, this app allows me to enjoy reading blogs for myself as the format is clean and simplified, love it! Hootsuite App – I spend so much of my life on the go, this app is a life saver! Lastly it has to be a note pad and pen, yes I know we live in a digital world but nothing beats a pen and pad! My unwavering belief in myself and the work that I do, I am my biggest supporter and promoter. I go into the world with a big smile on my face and work my back side off. It isn’t always about working hard, but it is about working smart! 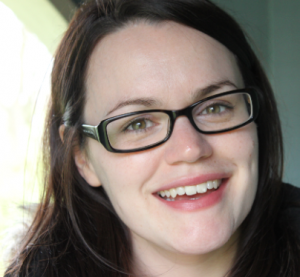 Emma-Louise specialises in community management, content writing and blogger outreach management. 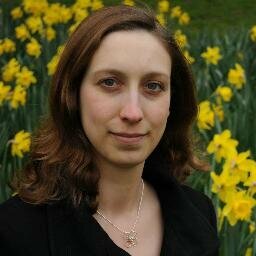 She’s also a pro at workshops, and will be joining me on the speaker list at Blognix next month. Want to know more? Drop her an email on hello@emmalouisetrotter.com and mention The Freelance Lifestyle, and she’ll give you 10% off any service! 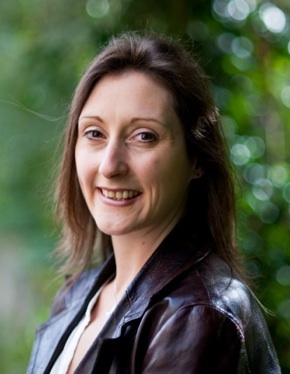 My name is Cathryn and I help small/medium sized businesses improve their online presence. I am a social media manager and trainer and WordPress site creator. I have been freelancing for about 3 years. 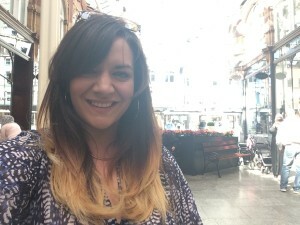 I started when I left my previous teaching job because I fancied a change and wanted to be my own boss. I’m an early riser, I get up about 6.30am, do some exercise, walk the dog and straighten the house. I start work at about 9am. I can’t shake the old habits of working regular hours! I do, though occasionally I’ll work in cafes, but I find that can be quite distracting. Up. Do some pilates, walk the dog, breakfast, wash up and do a few chores then start work. I do, though sometimes I’ll eat it at my desk reading through blogs. It’s a bad habit that I’m trying to break. I always have a break at about 3.30 and try to split my time up so that the last part of the day is for me, blogging, reading about changes in social media, taking part in a course. I try to finish work by 5pm so that I can walk the dog etc, but if I’ve wasted time in the afternoon, I find I’ll work later to compensate. How do you motivated? Do you have any particular techniques? This is a tricky one and I have to admit I’m struggling with it. I know what I want to achieve but I find that I’m putting big things off, like revamping my website. I’ve got a few quiet weeks now so am hoping that I’ll make myself do it. I try to finish by 5pm, at the very latest 6pm. However, I do not work in the evenings or at weekends, unless its personal development like a course or blogging. I’ve done that, working 14 hour days and it’s not fun for anyone! Freedom. I know I can work from anywhere and when my mum broke her arm last year, I could go and stay with her to help her out, without needing to take time off. Being accountable to no one but yourself. I’m a really harsh critic and there’s no one to tell me I’m doing a good job or share ideas with on a day to day basis. My trusty Filofax, my iPhone and my home office. Taking every opportunity that comes my way, whether I think I’ll enjoy it or not. Sometimes it pays off, sometimes it doesn’t but it helps to know what you want to do and what you’re not willing to do for money! I’ve been doing the Secret of Brands course on Futurelearn (Editor note – it’s a fab site that offers free online university courses), which has been amazing but I’ve just discovered Skillshare and will be doing a hand lettering course when the Futurelearn course is over.